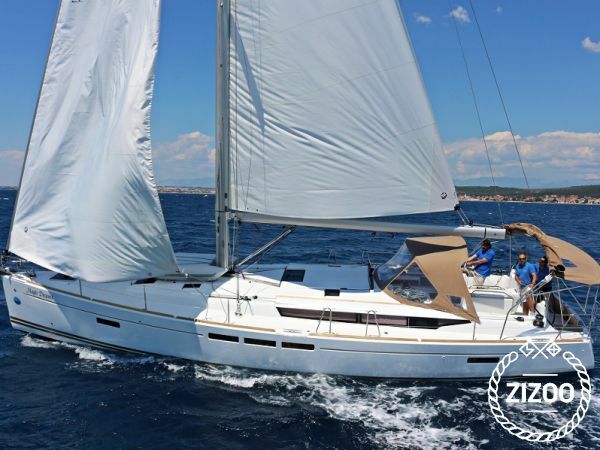 Book your dream boat with Zizoo. This elegant (2014) Sun Odyssey 509 is available to charter Sukosan. This stunning yacht stretches over 15 meters (50ft) and has been praised as the ultimate performance cruiser. While this 12-person yacht offers excellent handling, space and a strong hull, what really sets apart this SO 509 is its beautiful interior design. The inviting and chic interior is the perfect place to dine and relax with your friends and family. You and your crew will also love spending time relaxing in the sun and taking in the views of Dalmatia on the spacious deck. Situated between the two nautical hubs of Zadar and Biograd, Sukosan is an ideal base for your next boat holiday in Croatia. You can learn more about the city and sailing opportunities with our guide to Sukosan and guide to the best beaches in Croatia.